What is the Navigation Score? 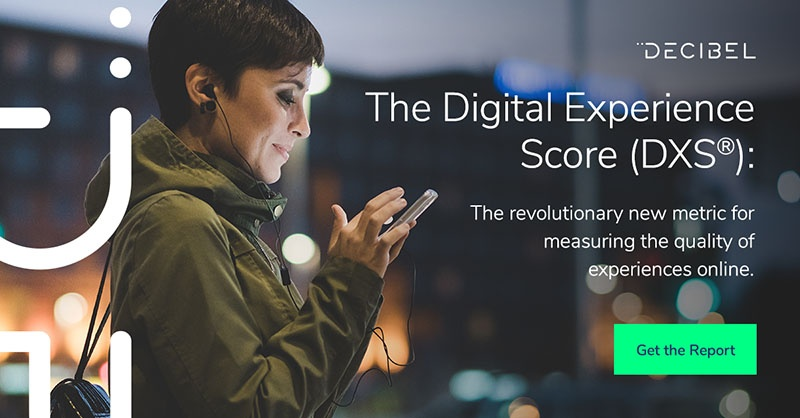 The navigation score is one of the five pillars of experience that are measured to produce the digital experience score (DXS®) of a digital property. It is scored between 0 and 10, with 10 indicating an exceptionally smooth customer journey. To receive a high navigation score, moving around the app or website and finding the desired information should be as frictionless as possible. Unresponsive links and buttons, a cluttered layout and a confusing menu structure all contribute to a poor navigation score. Good navigation, much like good writing, is often taken for granted. When it’s poor, it confuses and infuriates us. Why is the Navigation Score important? Imagine yourself and a colleague need to catch a train to reach an important client meeting. You know exactly which train to catch and which stop you need to get off at, but you’ve never been to this station before and aren’t sure where the platforms are. Understandably, you assume that everything will be clearly signposted and that the journey will be smooth. When you arrive, the first entrance you come to has been blocked off by construction workers. It’s an inconvenience, but there’s a second entrance around the corner so it doesn’t slow you down too much. Inside the station it’s packed with crowds of people and it’s difficult to see any signs. You spot a help desk and hurry over to get some directions, but find it’s unmanned. With the departure time rapidly approaching, your frustration levels reach new highs and you begin storming around the station in search of your platform. You finally locate it and arrive, to your horror, just in time to see your train rumble out of the station without you on it. You know the client has been lost and you’re already writing an angry email in your head to the station operator. The real-world journey described above is much like one that a customer would take on a poorly structured website and would ultimately result in all but the most motivated customers abandoning the site for a competitor. With Decibel's platform, any issues with navigation are instantly flagged up so digital teams can make the necessary changes and subsequently increase conversions. Segmenting the navigation score by device type, for example, allows you to easily identify the areas most in need of improvement. You can see at a glance if your optimization efforts are taking you in the right direction. To learn more about the navigation score and how DXS® can help you identify opportunities for designing remarkable customer experiences, download the complete guide below. Alternatively, get in touch with our team today to book your free demo.